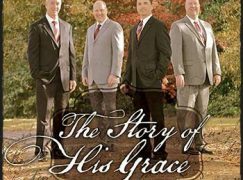 Full disclosure: Solid Ground’s tenor singer, Phil Boles, is not only a fellow contributor to MusicScribe, but also a friend of mine. This album was sent to both DBM and myself, and we mutually agreed that I would write this review. Phil asked me to give an honest review, so I have done my best below. Being a debut album, the song selection consists of cover songs. There’s a nice collection of better-known SG standards, newer hits, and a closing a cappella hymn number. For all covers, Solid Ground wisely sticks to songs that fit comfortably in their range and abilities while still giving us some variety. 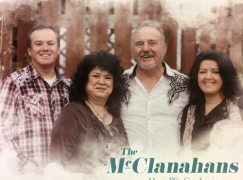 Among the stand-out tracks are “Redeemed,” which uses the same arrangement as Ernie Haase & Signature Sound (minus the “hey/ho” cheering), “Covered By The Blood,” and the title track. 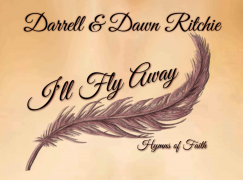 The singing here is very technically proficient, which makes for some solid harmony singing. Indeed, the harmonies and blend are very tight. Unfortuntately, it also results in some of the solos lacking in energy or emotion, as the emphasis seems to have been placed more on mechanics. Much of the phrasing is strictly limited to quarter and eighth notes that land firmly on the down beat with little room for embellishment. 50% of this album is recorded using pre-existing tracks, while the remainder were re-cut with the help of Cody McVey. The new tracks are well done, and recorded to mimic the original source arrangements. Andrew Ball did a good job with producing this project. I’ve heard similar albums where the differences in track sources was blatantly obvious, but despite the multiple sources for music tracks here, the album quality sounds fairly consistent throughout (the lone standout being “Vessel Of Mercy,” on which the track is monophonic, which I am guessing may have been sourced from a split track version). I always find it interesting to see how this style of music with such deep roots in the American South translates in other countries. 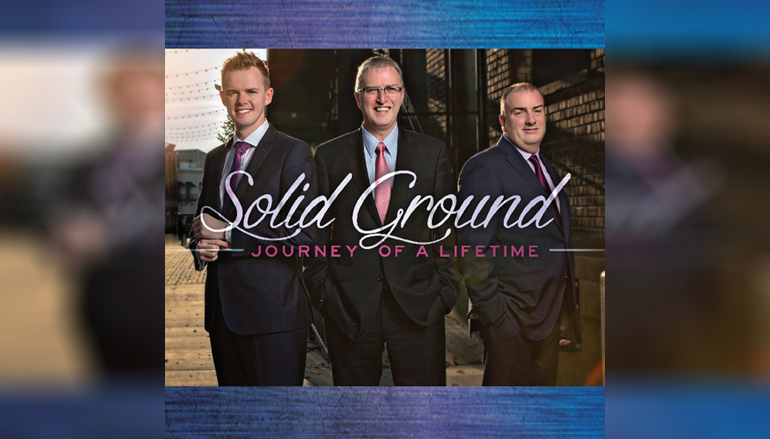 Solid Ground shows us that it’s just as loved in Northern Ireland, and is being well-represented. I listened to an album preview video that they had on their Facebook page. Good sound and blend. I’m OK with the simple phrasing to a certain extent. It’s easier to get the message of the songs across when you can be clearly understood. 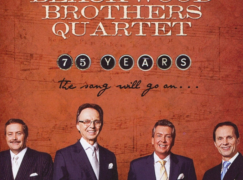 One question: is “Covered By The Blood” the same version that the Collingsworth Family sings? If so, I can understand why it was one of the stand out tracks. Great song! I personally appreciate their lack of embellishment and use of simple rhythms. Young people these days have no respect for the old ways, singing runs and adding things in where they have no business being. Let’s applaud these young people for their commitment to tradition and integrity, instead of tearing them down.